It's clear they are communicating with one another -- but is it language? 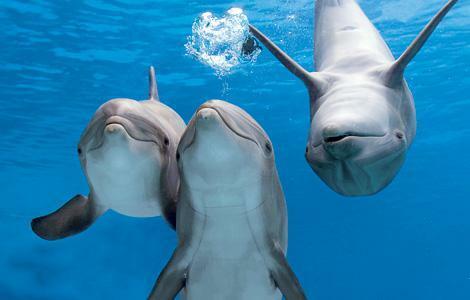 Denise Herzing: Could we speak the language of dolphins? For 28 years, Denise Herzing has spent five months each summer living with a pod of Atlantic spotted dolphins, following three generations of family relationships and behaviors. It's clear they are communicating with one another -- but is it language? Could humans use it too? She shares a fascinating new experiment to test this idea. Denise Herzing has spent almost three decades researching and communicating with wild dolphins in their natural setting and on their own terms. The book "Dolphin Diaries" tells her remarkable story.